Dr. Steven Shoen graduated with Honors from New York's Albert Einstein College of Medicine in 1985. He was offered residencies at Einstein's hospitals in General Surgery and Plastic Surgery which he completed in 1992. During his Plastic Surgery training Dr. Shoen was mentored by several renowned Cosmetic and Reconstructive Plastic Surgeons of the New York area. At graduation from his Plastic Surgery Residency Program Dr. Shoen was given the Resident of the Year award by the Department of Plastic Surgery. To further his training Dr. Shoen completed a fellowship year at Harvard Medical School's Beth Israel Hospital and Deacones Hospital under the guidance of Dr. Joseph Upton, a nationally renowned plastic surgeon. Following his fellowship year Dr. Shoen accepted an academic position at Stonybrook Medical School in New York. At Stonybrook he maintained a busy Plastic Surgery practice performing an array of cosmetic and reconstructive procedures. His academic reponsibilities included lecturing to medical students, as well as mentoring residents and fellows in the operating room. In 2000 Dr. Shoen and his family relocated to Central New Jersey where he started his existing Plastic Surgery practice. The practice is maintained at two office locations, one in the Metuchen-Edison region and a second in Monroe Township. Dr. Shoen's office concentrates on Cosmetic procedures, as well as a multitude of reconstructive cancer and trauma techniques. Dr. Shoen has built a large cosmetic and reconstructive breast surgery practice. He is a participant at the Breast Cancer Centers at Saint Peters University Hospital and Robert Wood Johnson Hospital. 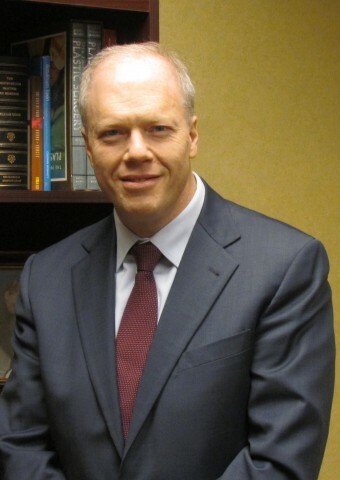 Dr. Shoen is one of the chief reconstructive surgeons at the Cancer Institute of New Jersey's Melanoma/Sarcoma Service where he performs all types of reconstruction following tumor removal.He is also active in the Plastic Surgery subspecialty of Hand Surgery, treating an array of Hand Surgery disorders. Dr. Shoen is an Assistant Clinical Professor of Surgery at Robert Wood Johnson Medical School/ Rutgers University. He mentors plastic surgery residents as well as medical students teaching principles and techniques in Plastic Surgery. Dr. Shoen regularly lectures at several area hospitals, and is the author of book chapters as well as several articles in his specialty. He has been elected to Castle Connolly Top Doctors, as well as New Jersey Top Docs on multiple occasions.